• Highly manoeuverable and compact (overall width 1.27m) ideal for locations with restricted access/limited space. 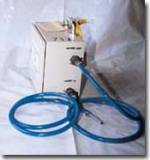 • Intended for supply of clean water to showers, modular hygiene units and decontamination trailers at sites lacking their own water supply. 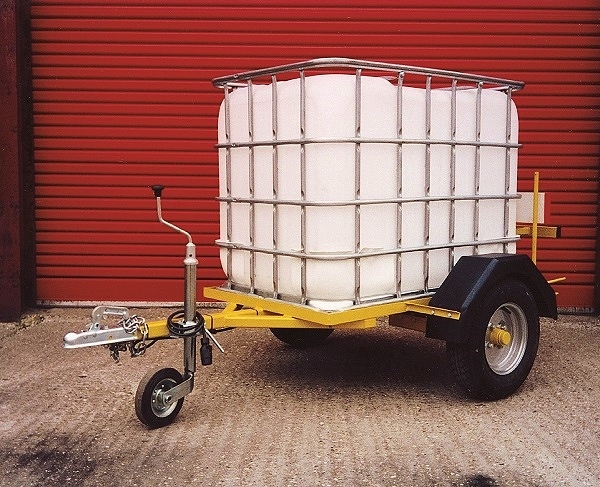 •600 litre tank capacity; trailer has 750kg max. authorised mass (unbraked), equipped with DoT road lights and number plate mount for highway use, security brake away chain, wind down jockey wheel and two rear stabilising legs. • switches on and off automatically according to demmand. • supplies up to 17 litres per minute (1.02 cubic metres per hour). • will deliver up to 2.7 bar pressure (40psi).